Disclosure: This post has been sponsored by Toyota & DriveShop, but all thoughts and opinions are my own. The past few weeks, I’ve been in the process of moving from Orange County to Los Angeles County! Having so many friends in Los Angeles and so much excitement in the city, I have been very excited to move! Plus, how cool would it be that everyday I can drive by Walt Disney Studios? The process of moving however….isn’t always so great! To make it a little easier on myself, I decided to gradually start moving boxes over from Orange County to Los Angeles, so I didn’t have the added stress of one big moving day. To help me with my plan to enjoy moving rather than stressing, I had a 2018 Toyota Highlander SE to help me out on my journeys this week! It has three rows of seats, with the back row having the capability to fold down (making an extra large trunk space). I also had to get some new furniture for our move, and couldn’t believe how much I was easily able to fit in the massive Toyota Highlander trunk! Pictured above is a dining room table and four chair set, and as you can see there’s still plenty of more space! Making the 60 mile drive from OC to LA can sometimes be frustrating, especially when traffic gets bad. 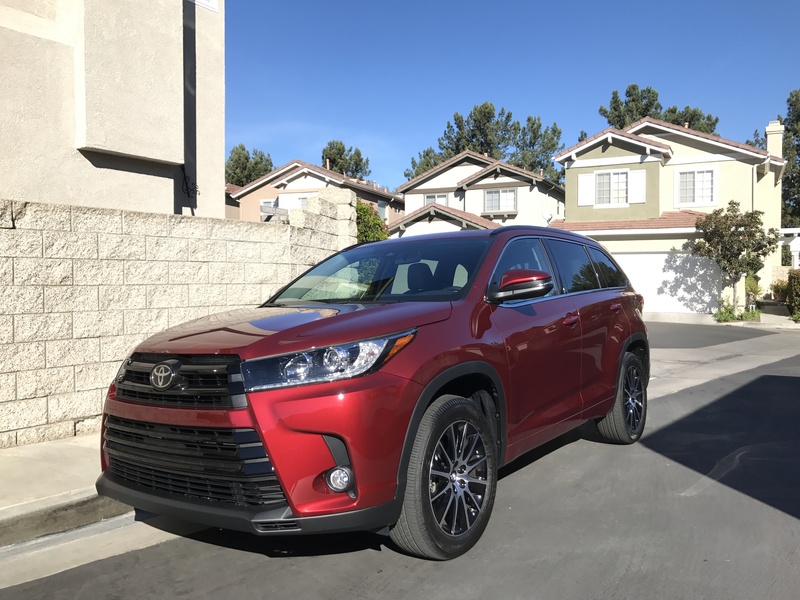 Making the several trips between counties felt more enjoyable and less like a chore since the 2018 Toyota Highlander SE drives so smoothly, and the seats are very comfortable! The sound quality in the car is also superb, so perfect for listening to my podcasts on commutes! With a large car like this, it will be so easy to have plenty of trunk room (as you all know, I do a lot of grocery store trips for my cooking! ), as well as be able to fit plenty of passengers in the car now that I live close to so many friends and will be exploring a new city. With a car like this and a view like this, I’m adjusting to my move perfectly! To learn more about the 2018 Toyota Highlander SE, visit their site here.